Sport Contact 6: Signature Protector Design. 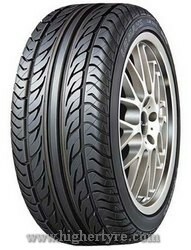 Sport Contact 6 tyres are developed for sport cars and vehicles with high exploitation characteristics. The used rubber mix provides maximum road-holding capacity and exceptional level of driving comfort. Signature protector design supports effective steering control; hybrid adaptive layer of a breaker provides stability at a maximum speed up to 350 km/h.